Star Wars villains + cuddly animals? Yes, please! 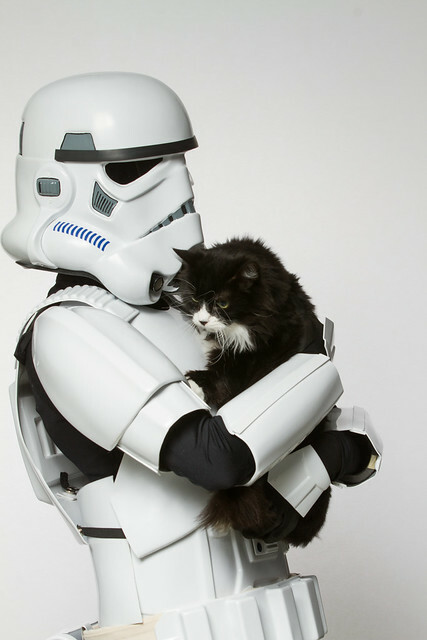 For Star Wars Day (that’s May the 4th to some people), The Ottawa Humane Society had the brilliant idea to pair the Capital City Garrison of the 501st Legion (“Bad guys doing good”) with adoptable animals, and the results are adorable. Photographer Rohit Saxena put together a terrific series of images designed to help pets find homes. Over 150,000 dogs and cats go into shelters every year in Canada, and more like 6 to 8 million in the U.S., so if you’re looking for a pet or a good cause to support, check out your local animal shelter, Petfinder, Adopt-A-Pet, or the ASPCA.